It’s a Thursday afternoon in July when a charter bus pulls up to the stadium. But it’s not ball players who step out into the nondescript, uneven parking lot. It’s high school students, dressed to impress, who confidently descend the steps and march into the stadium, snaking through the hallways like seasoned pros who have done this before. They have. Just a week earlier these young men and women were guests at McCoy, touring the ballpark home to Boston Red Sox AAA affiliate PawSox where The Longest Game (33 innings against the Rochester Red Wings) was played in 1981. 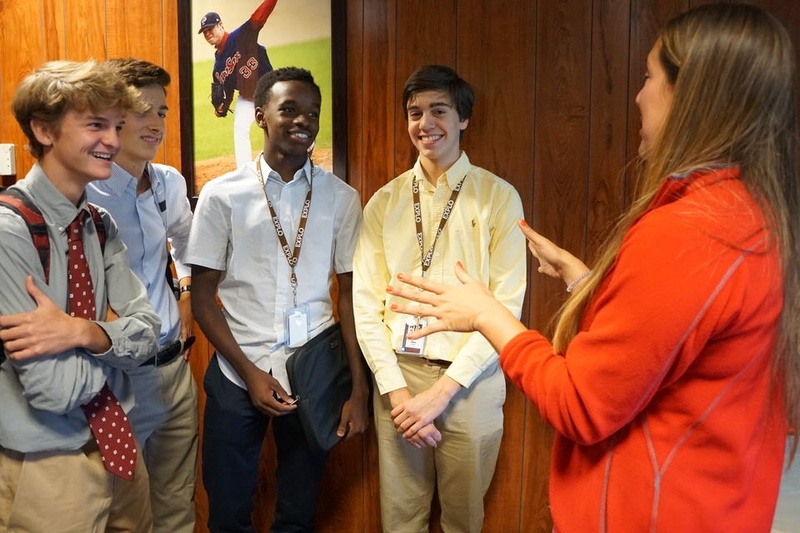 As part of a longstanding partnership with EXPLO, the PawSox executive management team has hosted Sports Management students for a number of years. But this is far more than a stadium tour and ballgame. These students are here to pitch business solutions for the flagging franchise. Built in 1942, McCoy Stadium is a baby compared to its 105-year-old sister stadium in Boston (you may have heard of Fenway Park). But when it comes to the expectations of contemporary fans, McCoy is itself a relic. Inconvenient parking, no restaurants or shops surrounding the stadium, and a funky odor outside the gates are just a few contributors to falling ticket sales, according to the students’ audit. For years now, McCoy has been on the chopping block as efforts to build a new, taxpayer funded multimillion dollar stadium has failed to pass the Rhode Island legislature. Nearby in Massachusetts, Springfield and Worcester have put in bids to bring the team to their Renaissance cities. But there’s a sense among everyone in the boardroom — including the students — that losing the PawSox would be the final strike for the City of Pawtucket (not to mention a major league hit to state of Rhode Island). The question, then, is how can the PawSox enhance the fan experience to get more folks through the gates and make McCoy an attractive destination for families? Rally caps on, the Sports Management students had one week to consider solutions, develop business plans, and create a professional presentation to pitch to the PawSox leadership team. That includes Grace Eng, director of McCoy events. 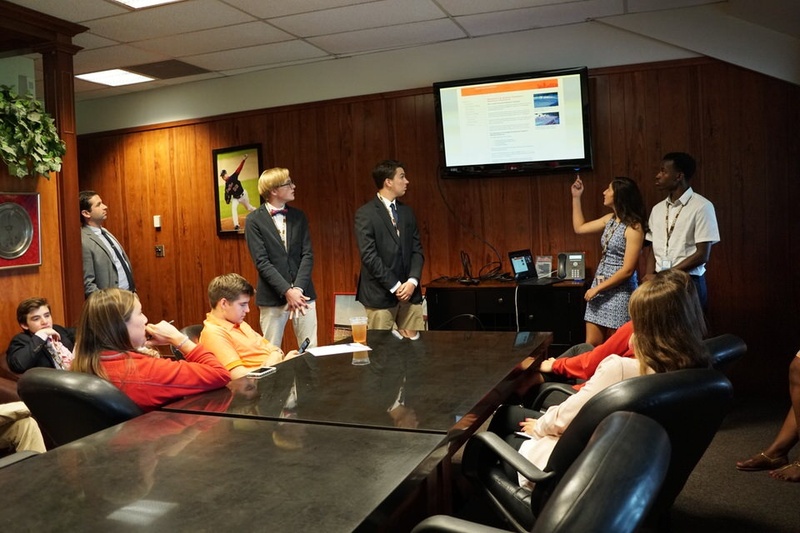 Working in teams, the students spent a week researching the business of minor league baseball, delving into issues specific to the PawSox, and developing solutions to knock the knee highs off the boardroom panel. They did not disappoint. 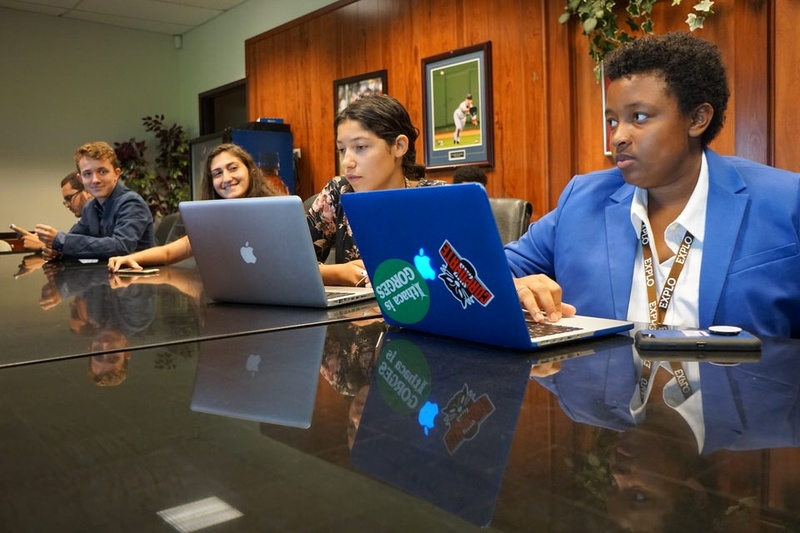 From doubling down on dining options and hosting off-season events to capitalizing on the Longest Game and selling the stadium’s naming rights to Providence-based toy manufacturer Hasbro, the students’ solutions were thoughtful and on the mark, according to Eng. But what really impressed her was the fact that nearly all of the presentations included a solution that would integrate technology with the fan experience using apps like Instagram or Snapchat. 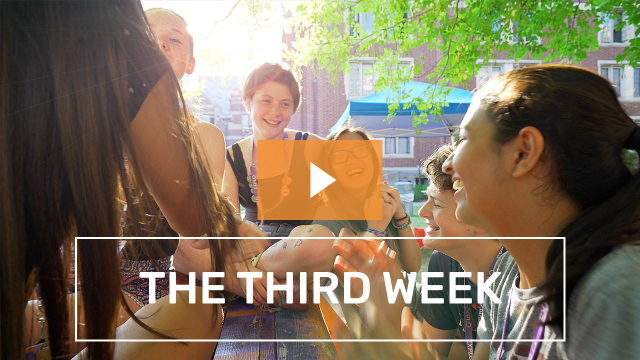 So, what’s it like to sell your ideas to the decision-makers who do your dream job everyday? 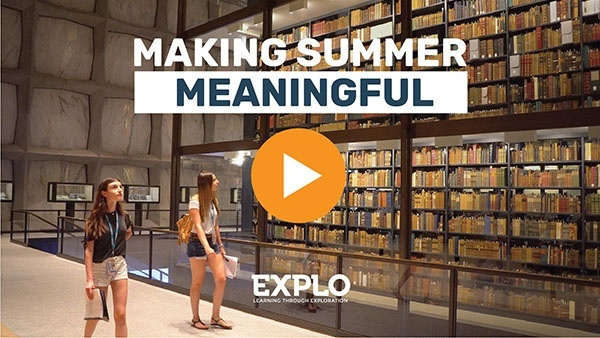 Dylan, a junior from California who is forging a path to become a sports agent by attending summer programs in sports management and seeking internships with the San Diego Padres and San Diego Gulls before graduating high school, echoed the sentiment. That’s exactly why the PawSox continue to partner with EXPLO, according to Eng.